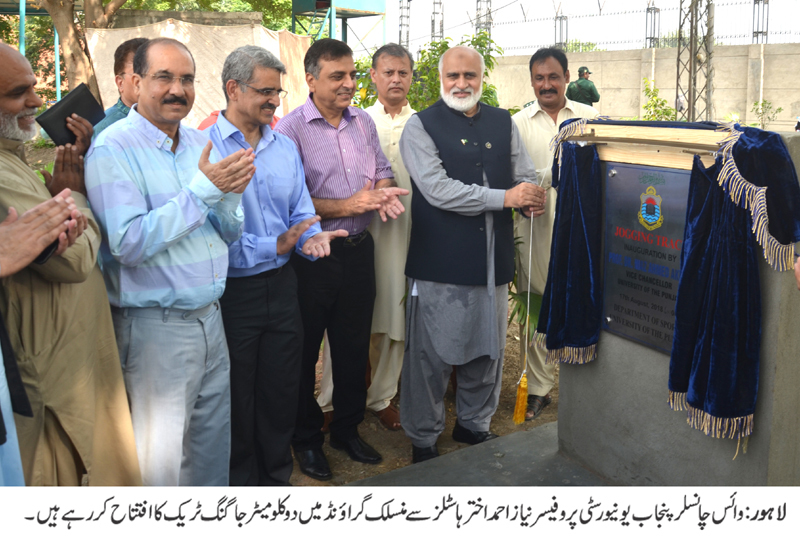 LAHORE: (Friday, August 17, 2018): Punjab University Vice Chancellor Prof Niaz Ahmad Akhtar has inaugurated 2KM long jogging track at hostels ground here on Friday. 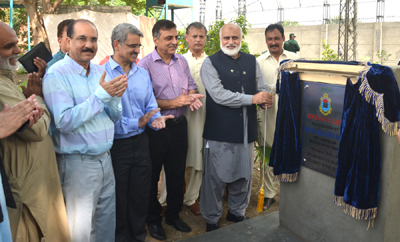 PU Registrar Dr Muhammad Khalid Khan, Resident Officer 1 Chaudhry Iftikhar Ahmed, Resident Officer 2 Malik Muhammad Zaheer, heads of various departments, senior faculty members and athletes were present on the occasion. Addressing the ceremony, Prof Niaz Ahmed said that a healthy body guaranteed a healthy mind. He said that sports taught us the lesson of discipline and the art of wining and losing in our routine matters with sportsmanship. He said that PU administration would promote healthy sports activities on campus.